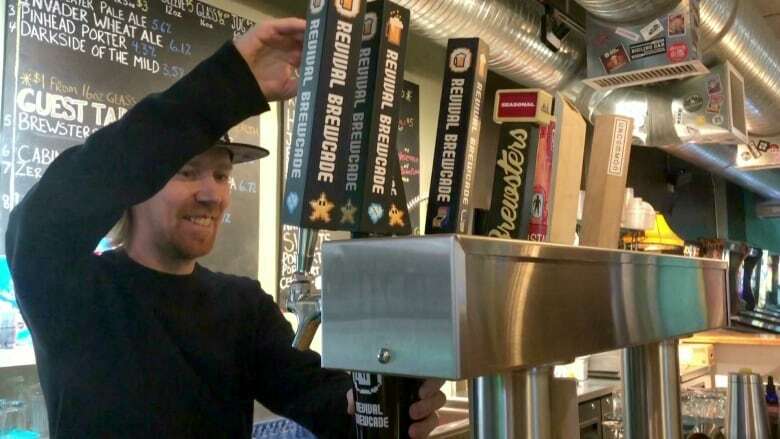 The craft scene is touted as a local gem, but one Calgary brewer is speaking out about the lengths his beer travels before they pour your pint. Nestled in Inglewood Revival Brewcade is a small start-up brewery. Currently, they don't brew beer on site and instead, contract through Red Bison to bring you their creations. 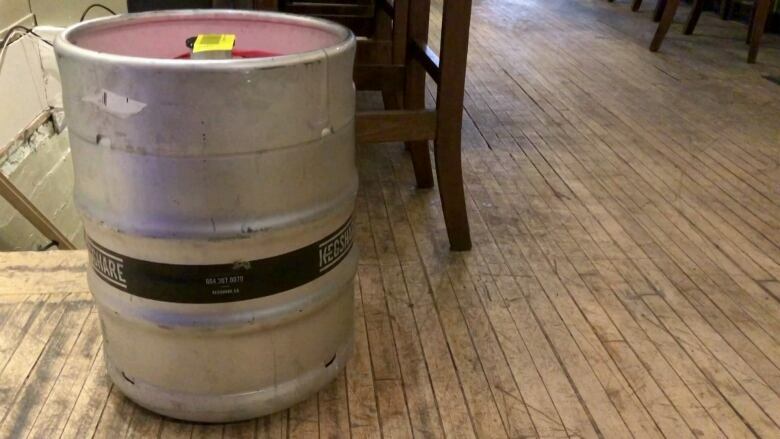 But even though there are only a few kilometres between Brewcade and their beer brewing contractor, the kegs they produce have to travel more than 600 kilometres — round trip — to the province's only distribution centre in St. Albert and back before they can be tapped. "So, there's a time delay in terms of freshness," said Brewcade co-owner James Dobbin. "Then there's the cost — we've spent 25 per cent of the total cost of beer production in shipments to Liquor Connect, it's insane." According to a spokeswoman with Alberta Gaming Liquor and Cannabis, this contract-brewing system was set up to help small breweries start up without the upfront cost of infrastructure it would take to do their own manufacturing. Manufacturers have to brew everything on-site, but a contract-brewer might not have a site yet. In some cases these brewers don't have brick and mortar locations at all — so they can enter an agreement with a manufacturer to use their equipment and facility. In some cases, contract brewers might not have a brick and mortar location at all — other provinces have called these types of operations "virtual breweries." But in the case of Brewcade, they have a physical bar location. Contact-brewing is not intended to be a permanent solution for brewers, just a stepping stone, which is why the AGLC says there are perks to becoming a manufacturer. Domestic brewers, or manufacturers, are able to self-distribute their product, but contract brewers aren't considered domestic brewers — they are considered liquor agents. In Alberta, a liquor agent is a group that orders, consolidates, ships and markets liquor. 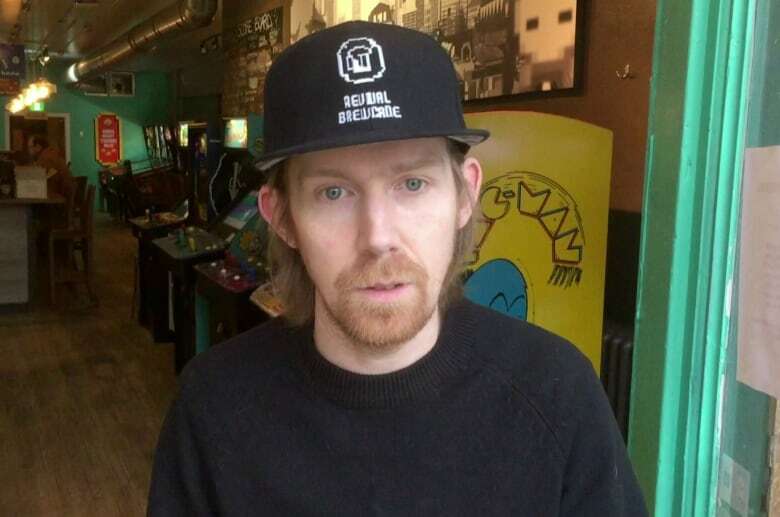 "Alberta, is very unique," said Holmen. "We have the only one-of-a-kind system in Canada where we have a privatized model." She said this model allows for a lot of choice in beer, spirits, ciders and wines. But the AGLC is the provincial regulator and distributor for liquor and cannabis products, she explains. "So that's just the way the model is laid out right now," said Holmen. She says these smaller brewers are making beer and sending it off to be distributed through the centralized distributor, Liquor Connect. And this is where Dobbin has to order back the beer brewed by Brewcade so he can then sell it at his bar. "Their organization is extremely bureaucratic, so it's counterintuitive to the way we all think," he said. Instead, Dobbin said it would make more sense to be able to piggyback on their contract brewers to distribute and pay taxes through that manufacturer — or, he said, the province could create a nearby distribution centre for Calgary and southern Alberta businesses to use. "So that we're not polluting the environment just to deliver beer," he said. According to the AGLC, there are 22 so-called contract brewers across Alberta. And because there's only a small volume of product involved in contract brewing, the AGLC says there's no business case to consider a standalone warehouse and distribution system for contract brewers in southern Alberta. "The intent of the policy is that contract brewers become licensed manufacturers and not remain contract brewers indefinitely," said Heather Holmen. "Contract brewing was established to reduce barriers to entry and allow smaller operations to start up." And Brewcade is doing just that, after months of contract brewing to sell product they are becoming manufacturers soon. But Dobbin says they probably won't stop their relationship with the provincial distribution centre. He explains in Alberta some manufacturers still have to use Liquor Connect because they have contracts that outpace the space they have on site to store product — and so the only distributor they can turn to is Liquor Connect. Red Bison, which is considered a manufacturer, uses the distribution centre too. And in an email, owner and founder Steve Carlton said having a monopoly on distribution doesn't make sense. "Having choices and competition would not only improve services help reduce costs to manufacturers," he writes. "The fact that all of our product has to be shipped to St. Albert is also something that hardly makes sense." When asked about whether or not a new distribution centre closer to southern Alberta would make sense, the AGLC pointed to an assessment of their distribution protocol done in 2007, a similar report was also done in 2009. At the time, manufacturers also noted issues with having one distribution centre. But the report concluded that a centralized system is best. According to the AGLC website, in 2016 a new distribution centre was planned to come online in 2018 — but that centre was also planned for St. Albert to be near existing infrastructure. The frequently asked questions document states that having more than one distribution centre in Alberta's market — one in Calgary and one in Edmonton — would "result in higher costs for the industry as well as overall system inefficiencies." Carlton said a lot has changed between 2007 and the present. "There would have only been a handful of breweries," he wrote. "Now, with over 100 this should have been looked at many times since 2007. The way Alberta's population is spread out, it would also seem that Calgary or Red Deer would be a much better option." Holmen said the AGLC is always looking for ways to modernize and improve the liquor system to increase efficiencies. "To say it's not on the radar is not accurate, we're always looking for ways to increase efficiencies."